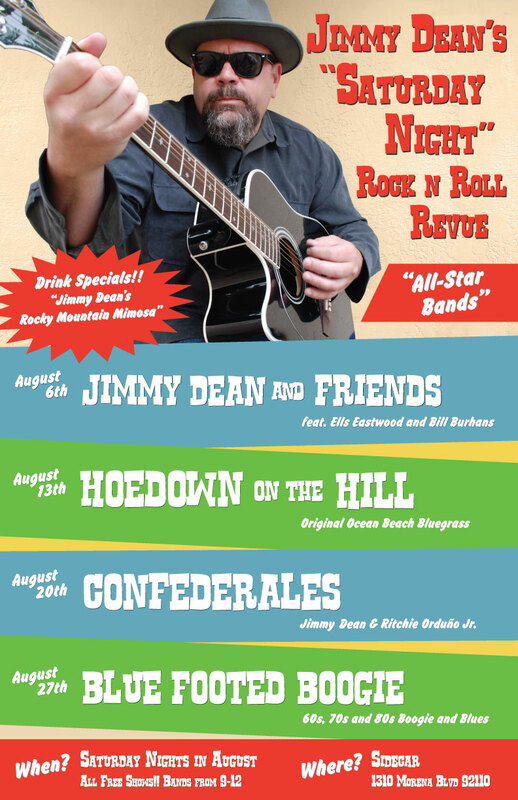 Every Saturday in August Sidecar hosts Jimmy Dean’s “Saturday Night” Rock n Roll Review. Each night Jimmy presents a different local band for a three hour showcase. All-star bands, secret guest muscians and drink specials at every show. Check out the Facebook event for details, invites, videos and more.